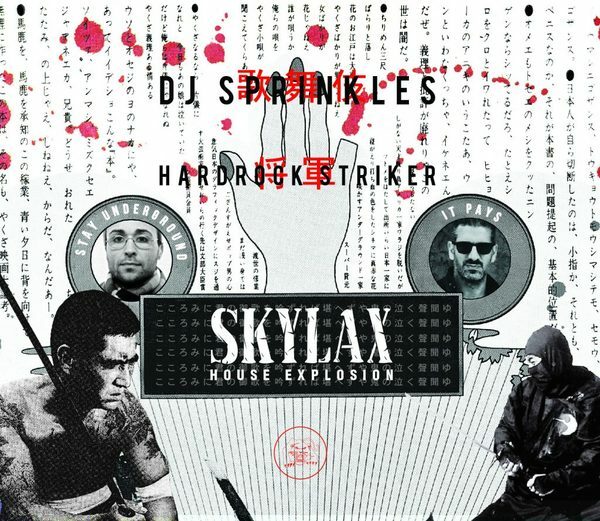 Longtime pals DJ Sprinkles & Hardrock Striker mix up an excellent 2CD survey of Skylax’s deep house styles past, present and future, with Terre Thaemlitz a.k.a. DJ Sprinkles a.k.a. K-S.H.E picking 13 label classics, and label boss Hardrock Striker selecting 16 upcoming treats by Lady Blacktronika, Octo Octa, Niko Marks and more. On DJ Sprinkles' half, you’ll cop finest deep house pressures in Chez Damier’s Morning After Mix of Simoncino’s Inag’s Creme, as well as the burning soul of Bad You by Sameed, and the rugged sophistication of Public Enemy by F.T.G., Belfie & Alex Tea, but it’s best consumed in one go, preferably on the ‘floor, or rolling in the whip. Hardrock Striker runs the voodoo down from Lady Blacktronika and Sinan Kaya thru to Jason Gorves’ sub-fuelled shifter Streets, a Reese-based bewt by Rosenhaft, something special from Groove Riddim and Nathaniel X Project, and Peter Black & Hardrock Striker’s sublime Dreamtime.